The Mixed Marvel Arts Podcast debates the all-new, all-divisive Captain America. 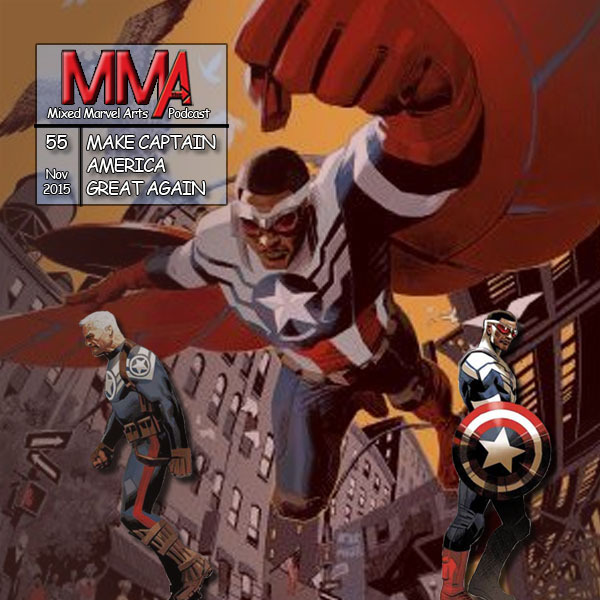 Sam Wilson takes a strikingly partisan stance in his most recent comic series which puts him at odds with his predecessor, Steve Rogers, and at least one member of the podcast. Despite his lack of enthusiasm for the character, Brian glides to a Fantasy Comic League victory on the back of Falcap’s wings and shield. On the other side of the fence, nationally and politically, Shaun shares his new life goal of becoming a teacher. Episode artwork: Daniel Acuña, Captain America: Sam Wilson #1-2 covers.